I can’t have been the only person who viewed the launch of Such Tweet Sorrow, a version of Romeo & Juliet told through Twitter, with some scepticism. 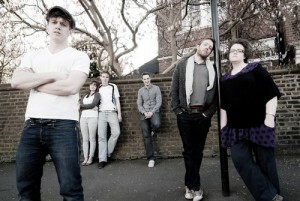 The premise is that a cast of actors (led by Charlotte Wakefield of Spring Awakening and James Barrett) perform as the principle characters from Shakespeare’s tragedy over a period of five weeks, communicating this to the audience and each other through the medium of Twitter. The text is improvised by the performers (within a set timeline to ensure they don’t go off track) so Shakespeare’s text is jettisoned except for a few oblique reverences, most of which are about as clever as the pun in the title. This is supplemented by occasional YouTube videos posted by the characters, facebook pages, spotify playlists and the like. We’re a couple of weeks in to the plot so far and we’re about half way through Act II. @laurencefriar has taken a lot of drugs and organised a ping pong tournament and @tybalt_cap has been suspended from school. More importantly, @romeo_mo has been dumped by Rosaline (who he met on XBox Live while playing Call of Duty) and hooked up with @julietcap16 at her birthday party. It’s not a completely stupid idea and actually manages to be quite immersive. But in the end, the form doesn’t make sense and, since this project is manifestly about form over substance, this is a fatal flaw. Drama is inherently dependent on disparities of knowledge – one character knows something that another does not or one character thinks he knows something which the audience knows not to be the case – and Twitter is the antithesis of this. The very premise of Twitter is that everybody should know everything about you, instantly – an environment which is inherently hostile to the development of tension or driving a plot forward. Imagine how different plays would be if there was instant and global reporting of every character’s every thought (RT @ladym: Really hope @macbeth mans up and kills @kingduncan at our castle tonight). As such, every public communication by these characters feels either banal or forced. Despite the brave efforts of a few celebrities, Twitter is still largely the preserve of geeks and loners. If a teenage couple were busy getting busy, they’d be pretty unlikely to spend their time tweeting about it to an RSC audience instead. And if a girl called Juliet really had fallen in live with the son of her family’s great enemy, it’s pretty unlikely that she would go about telling the whole internet about it. Romeo & Juliet seems a particularly bad choice of play for this experiment given that the plot development is based almost entirely on miscommunication. Quite how they’re going to orchestrate the final fatal misunderstanding barring a Twitter service outage or Romeo losing signal (does the Capulet tomb have 3G?) is a mystery. The other problem is just how banal the entire production feels when devoid of he language. My love of Shakespeare may never recover from hearing the immortal line @tybalt_cap: So which one of you muppets stole my sisters cherry then!?!? When you take away the poetry, the language, the suspense and the characterisation, there’s really not that much left to Romeo & Juliet, and Such Tweet Sorrow ends up as a bright idea, well done – but one that doesn’t really work. It's great to read your thoughts on the project. I do really like the idea and I have been following quite readily through the story. But you're completely right about some of the basic twitter rules of everything is in the public eye. They reference the use of twitter as a tool they use to speak to each other but then ignore the whole character conflicts when they are proclaiming their forbidden love to each other. I'm eagerly awaiting the ending though where clearly they will delete their accounts and thus die. for its excellent prices when it comes to Adsense. accoint it. Look advanced to far adԀed agreeable from yoս! By the way, how can ѡe communicate? I also would not want to stroll up and down in between there and the city centre, nor is this essential. This is mostly a day trading strategy that traders use in all financial markets. This means you can use this trading strategy to successfully trade any currency pair you find on your Forex trading platform. Ergo is the concept of leverage financing, where a trader deposits only a presumed risk (margin) and the rest is provided by the broker. Educate yourself on the risks associated with foreign exchange trading, and seek advice from an independent financial or tax advisor if you have any questions. To day trade the forex market successfully you need to read and adjust to market conditions ( Velocity and Magnitude will help in this). With a demo trading account, you can give Forex a try without putting any of your money at risk. Trades placed on the reliance of Trend Methods systems are taken at your own risk for your own account. Email news transmission type primarily used for the purpose of keeping in touch with clients, helping businesses build sustainable relationships with customers. Influencer marketing: Important nodes are identified within related communities, known as influencers. Online marketing, which is also called internet marketing or online advertising, is any tool, strategy or method of getting the company name out to the public. We have been doing internet marketing for a long time. Mailigen will analyze and provide recommendations to perfect your campaigns based on our proprietary 30 point checklist, including email design, list quality, delivery conditions, the message you are communicating and how you engage with your audience. At IMI, we have the ability to incorporate Affiliate Marketing into any integrated digital marketing campaign in order to push product sales and drive revenue. Make your customers anticipate the arrival of your newsletter in their email by using it to offer them exclusive specials and markdowns. The functionality of websites as export marketing channels for small and medium enterprises. With Online Store you can ship using a flat rate per order, which is sometimes easier for everyone, or pick weight-based shipping-which charges different amounts based on how much an order weighs. By offering value-added services to your existing clients with email marketing software, you can build indestructible customer loyalty, gain a sharp competitive advantage and increase the average order value per client. Use our integrated Facebook and Instagram ad campaigns to find new customers and reconnect with others. In order to send people your newsletter, you have to convince them to subscribe to this newsletter first. Really, they do. On average, customers who receive a Square promotion are more likely to return and spend more than they normally do. So start letting them know about your new offerings, special events, sales, news, and more.